News that an unvaccinated Ontario boy is in hospital with a dangerous tetanus infection is prompting calls from worried parents seeking information on how to get their children vaccinated. The Grey Bruce Health Unit has had numerous inquiries since word of the case hit the news over the weekend, said Dr. Christine Kennedy, the unit's associate medical officer of health. The health authority is headquartered in Owen Sound, about a 2.5-hour drive northwest of Toronto. The unidentified six-year-old had been transferred to London, Ont., for intensive care. But his condition has improved and he was moved to a pediatric care bed over the weekend, Kennedy said. The child had not been vaccinated against tetanus, which causes a painful and life-threatening condition better known as lockjaw. Tetanus is caused by an infection with the bacteria Clostridium tetani. C tetani spores are ubiquitous, found in soil, dust and manure, and infection occurs when spores make their way into a cut or a wound. The name lockjaw comes from the severe muscle contractions that are triggered by the toxin the bacteria produce. The spasms are so strong, in fact, that people can suffer broken bones. They can also interfere with breathing. Tetanus infections are fatal in a significant portion of cases, with the proportion varying by the age of the person infected. In young children, between 20 and 30 per cent of infections lead to death, said Dr. Shelley Deeks, Public Health Ontario's medical director for immunization and vaccine preventable disease. "It is a very awful disease," Deeks said. There is no specific remedy for tetanus, though people who contract the infection may be given an anti-toxin and are often treated with sedatives to control the spasms. Once more common, tetanus is now rare because most people are vaccinated against it. Children are supposed to get four doses of vaccine containing tetanus protection at two, four, six, and 18 months of age, with a booster shot between four and six years old. The vaccine also protects against diphtheria, pertussis (whooping cough), hemophilus influenzae type B and polio. Adults need tetanus booster shots every 10 years. Everyone needs to be vaccinated against tetanus because the disease is not one where so-called herd immunity can develop, Kennedy noted. When high levels of children are immunized against some diseases — mumps or chickenpox, for instance — you would not expect to see many cases because so few people are susceptible that the disease cannot spread. But tetanus doesn't transmit from person to person; it is contracted when a vulnerable person is exposed to bacteria. That means that even if 95 per cent of children were vaccinated, the remaining five per cent would still be at risk. Meanwhile, health authorities in Guelph, Ont., are investigating an outbreak of mumps among students of three schools. So far six children — five teenagers and one elementary school student — are confirmed to have been infected. 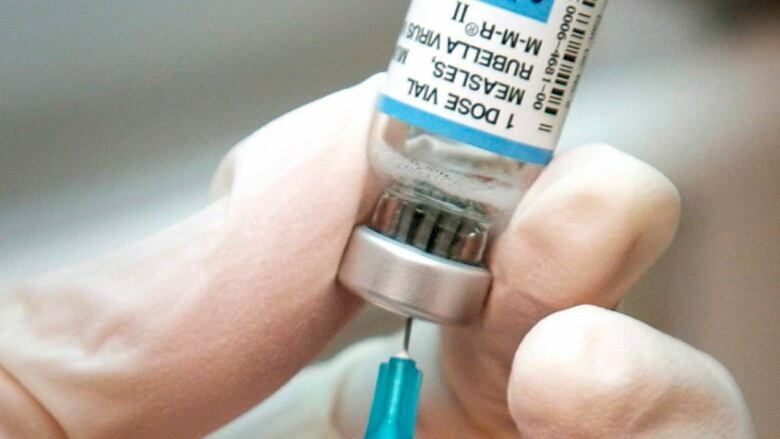 All six had received the recommended two doses of mumps-containing vaccine, said Dr. Nicola Mercer, medical officer of health for Wellington-Dufferin-Guelph Health Unit. Even with two doses of mumps vaccine, some people will contract the disease if exposed to the virus. Mercer said it is not currently known how the outbreak started, though it is assumed the virus was imported from somewhere else. The first known case in this cluster had not recently travelled and Mercer said it is possible the person who imported the virus did not come to the attention of the medical community. Not everyone who contracts mumps has the telltale puffed-out cheeks. A previous version of this story said that the vaccine that protects against tetanus infection should be administered to children at 18 months and 2, 4 and 6 years of age. In fact, the vaccine should be administered at 2, 4, 6 and 18 months of age, with a booster between ages four and six.